A few weeks ago I asked for ideas … Barbara suggested a small decorated cake for 2 to 4 people. 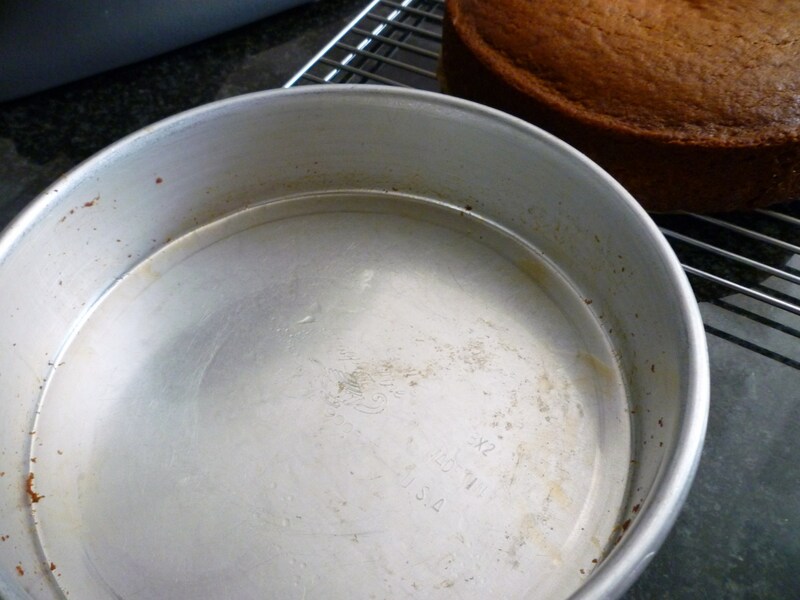 Well, this is a one-layer 8″-9″ round cake … maybe for 4 hungry people … or cut it in half and freeze one half for later … or bake it in 2 – 6″ pans! Spice cakes remind me of fall … after all, today is the first day of fall! My favorite part of this cake (other than how easy it is) is to let people guess the “mystery” ingredient. So far nobody (that I have asked) has guessed! 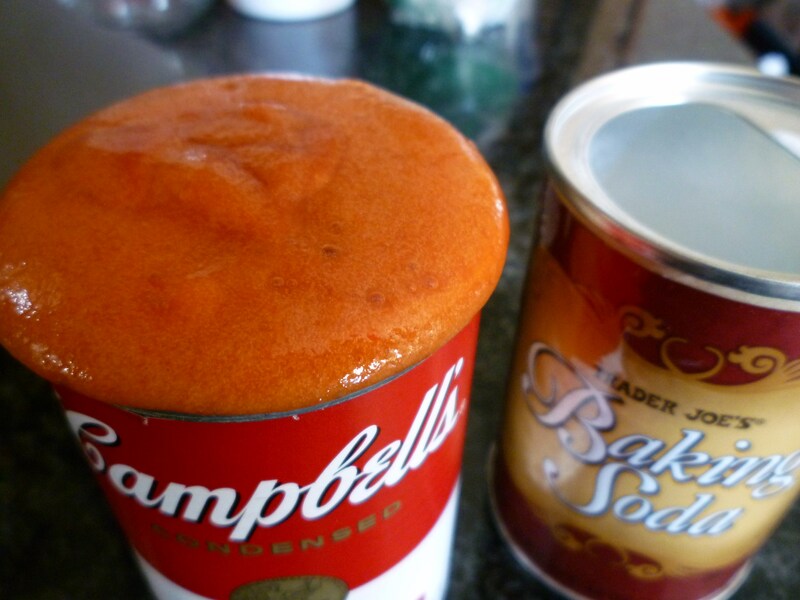 The “mystery” is a can of tomato soup!!! 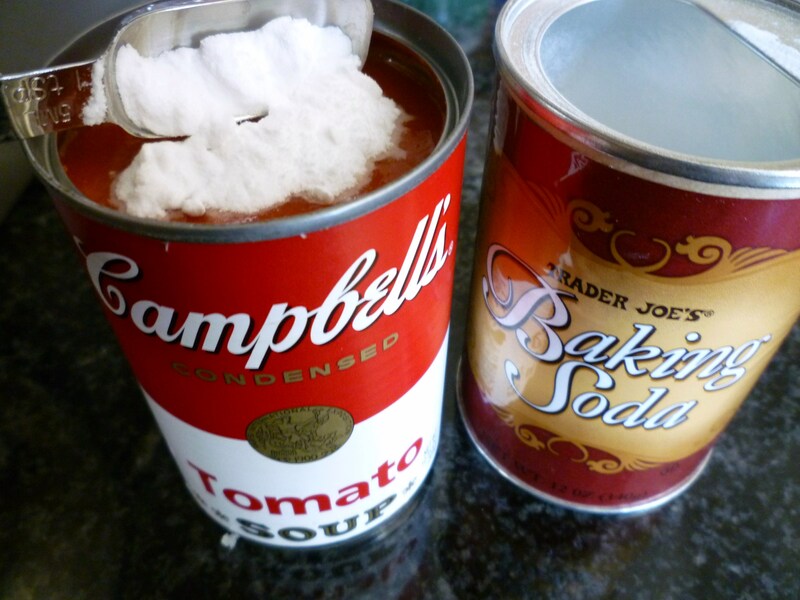 Yes … tomato soup … I couldn’t believe it. I had to try it. It definitely does not taste like tomato soup … I would not lie to you. I don’t like tomato soup. 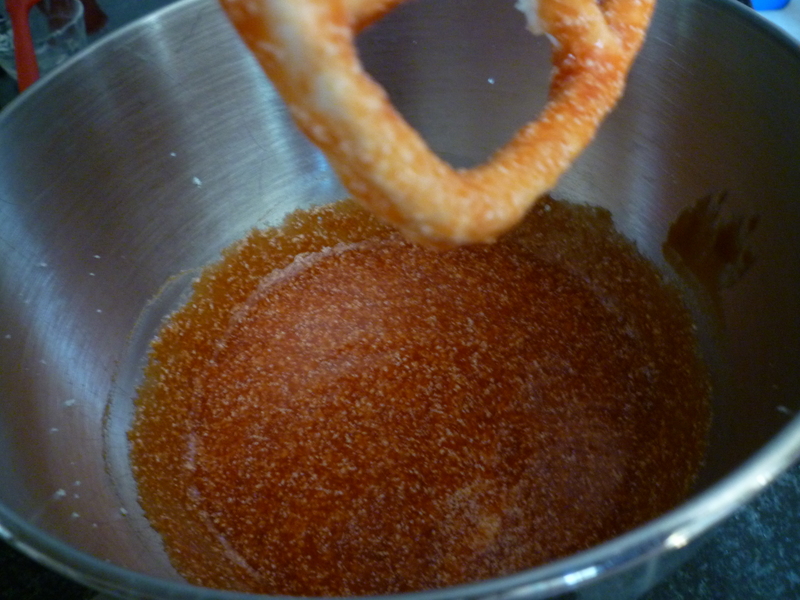 This recipe is very old, from the 1930’s and I found it on the King Arthur Flour website. 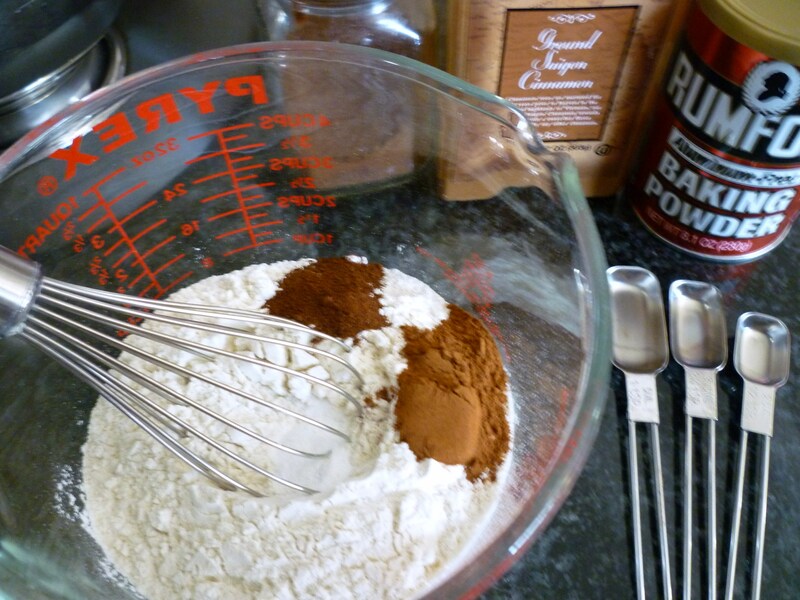 I do love King Arthur Flour … great products and recipes. 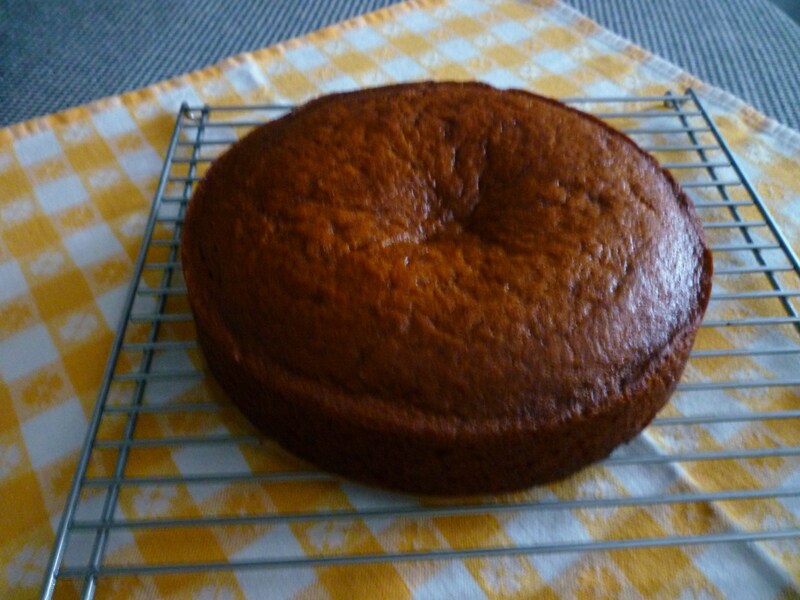 I baked the cake today … wrapped it in plastic wrap … put it in the freezer … and will frost it tomorrow. I will show some very fast and easy decorating … please check back tomorrow! 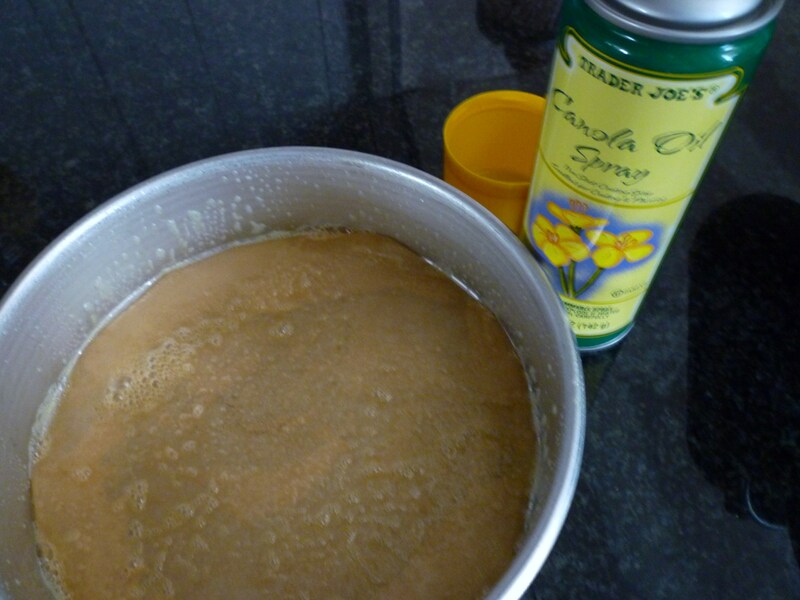 Preheat oven to 350° F. Spray an 8″ or 9″ round cake pan with cooking spray. Line with parchment paper and spray again. 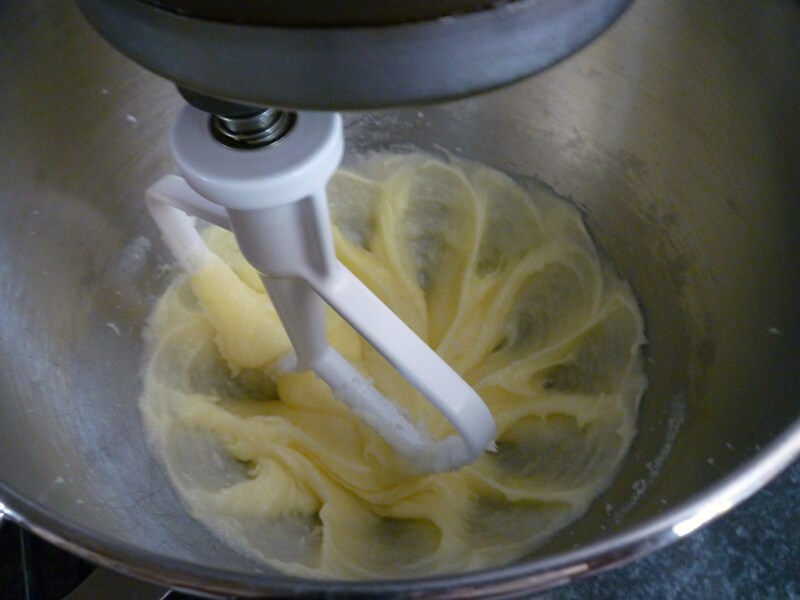 Cream butter and sugar in large bowl. Add egg and mix well. 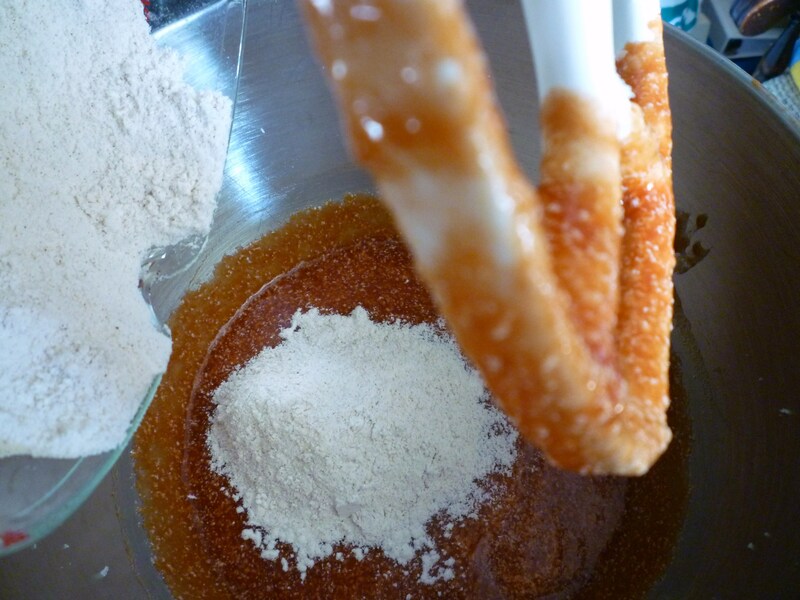 In a small bowl combine flour, baking powder and spices. 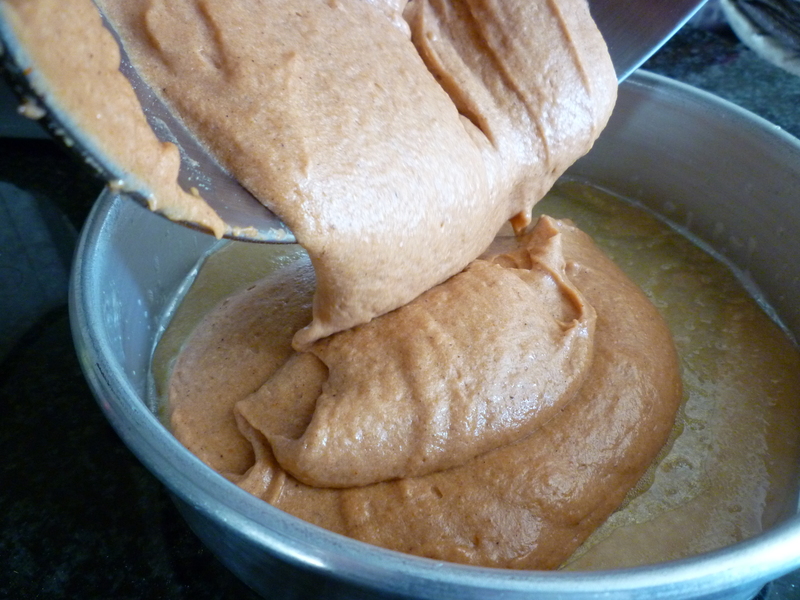 Whisk well and add to tomato soup mixture. Beat together for 1 minute on medium speed. Pour into prepared pan and bake for 30-40 minutes. Cool in pan 15 minutes. Remove to rack and cool completely. Remember to come back tomorrow for frosting and decorating. 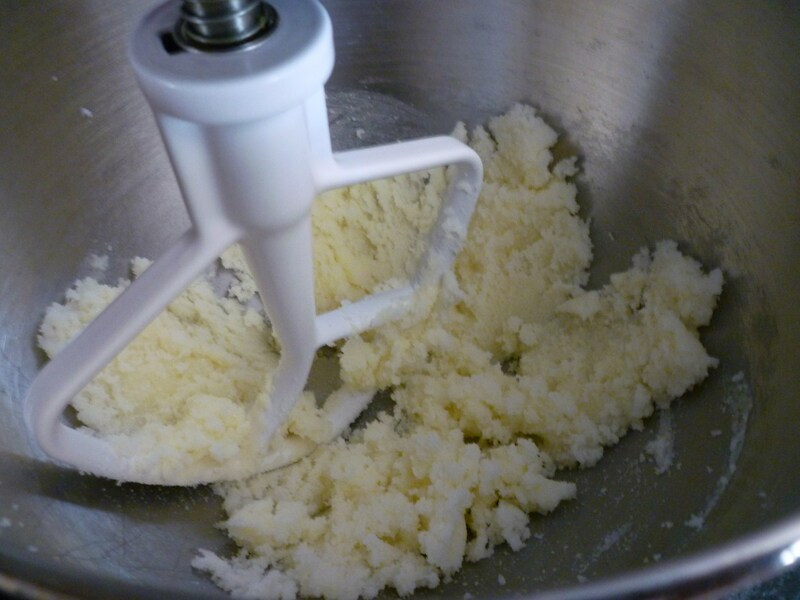 We will use cream cheese frosting!! !